Sometime over the course of your life, morbid curiosity may have taken you down the rabbit hole that is learning about serial killers. Although it’s not often discussed openly, a casual interest in serial killers is fairly common among people; otherwise, the success of contemporary big-budget projects exploiting fascination with the subject, such as The House That Jack Built (2018), My Friend Dahmer (2017), Inside the Mind of a Serial Killer (2015) and Encounters with Evil (2016), wouldn’t be viable. So how do people end up admiring these abhorrent figures? When considering the prominence of celebrity obsession in western culture, it makes sense that similar infatuations could be extended towards serial killers. After all, when removed from the context of their crimes, killers such as Ted Bundy, Jeffrey Dahmer, John Wayne Gacy, and Charles Manson possess the type of household-name celebrity status that popular culture propagates. A conversation with psychology student Shahina Hakik brought me to one possible reason for why these figures are admired. As Hakik explains it, “people are liable to gain a sense of power through affiliation.” We considered the many people who, struggling to find their own sense of identity, attempt to embody celebrities that society has placed on a pedestal— usually by dressing like them, mimicking their behaviour, and vocalizing their support for them. However, the reality is that a wide range of people are going to identify with a wide range of celebrity personas. When people feel misunderstood, ostracized, and demonized, they are more likely to identify with an iconic figure who is portrayed in a similar way—serial killers, for instance. Despite their revolting actions, the sensationalism surrounding serial killers has given them a platform which cultivates their story, their fame, and even their humanity, and offers it for popular consumption. Perhaps all of the research that goes into uncovering the psychological motivations of such deranged individuals helps us attribute logic and rationale to seemingly senseless tragedies. Maybe our collective fascination with serial killers is a subconscious method of coming to terms with the disturbing capabilities of humanity. But, in my opinion, the problematic reality of identifying with (and especially idolizing) serial killer icons is that it perpetuates the idea that violence is an appropriate way of dealing with adversity, attaining psychological gratification, and even processing trauma. Furthermore, glorifying serial killers, whether by “stanning” (or obsessively following) Charles Manson’s music or being a self-proclaimed Bundyphile, effectively diminishes the true deplorability of these individuals. If you ask me, anything beyond an emotionally-distant fascination with the subject is deeply concerning. 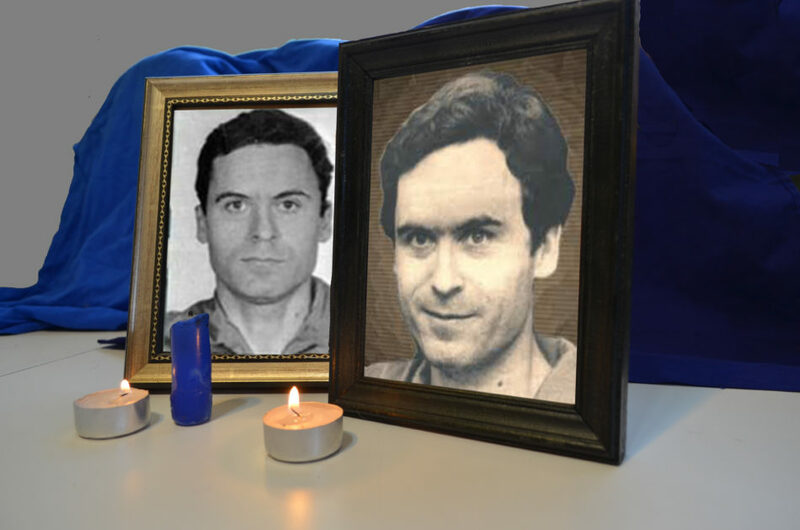 Idolization of serial killers despite—or even worse, for—their horrific actions is not a quirky character trait. It’s cause for alarm and a re-evaluation of the persona you are trying to cultivate for yourself.